Bangladesh recently won its fist ever ODI Series in its short Cricket history from a strong team like New Zealand which can prove to be a great door to improve the Cricket of Bangladesh. Bangladeshi players will be in lot of confident after beating New Zealand and will be looking to perform even more better in the future. from Wednesday 1st December 2010 Bangladesh is going to face Zimbabwe in 5 Match ODI Series. Tomorrow first ODI will be played in Dhaka at 03:30 AM GMT. 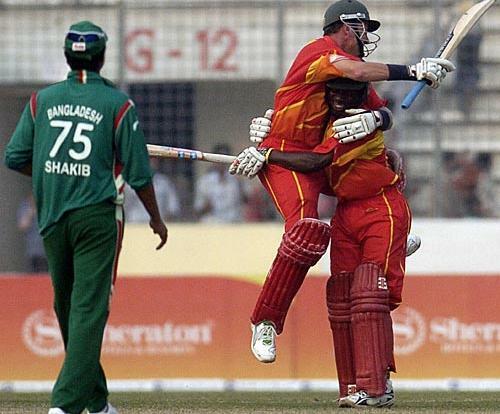 more ODIs will be played on 3,6 10 and 12th of December 2010.